Sometimes the jonesing for a burger is way too strong to ward off. The crave starts somewhere in the back of your brain, maybe from a TV commercial, or a latent need triggered by hunger pangs or if you’re as big a foodie like I am, food is a part of your every existence. While posting an up date to the site, the jones crept up into my belly and before I knew it, I was unable to move about my day until I put a burger in my belly. 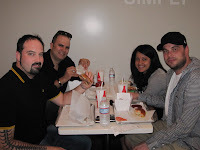 A quick email to my friends David and Simi and Adam and I were headed off to a burger lunch. With limited time in my day, we picked a burger we had never had before but as close to our offices as possible. That restaurant was Burger Creations. 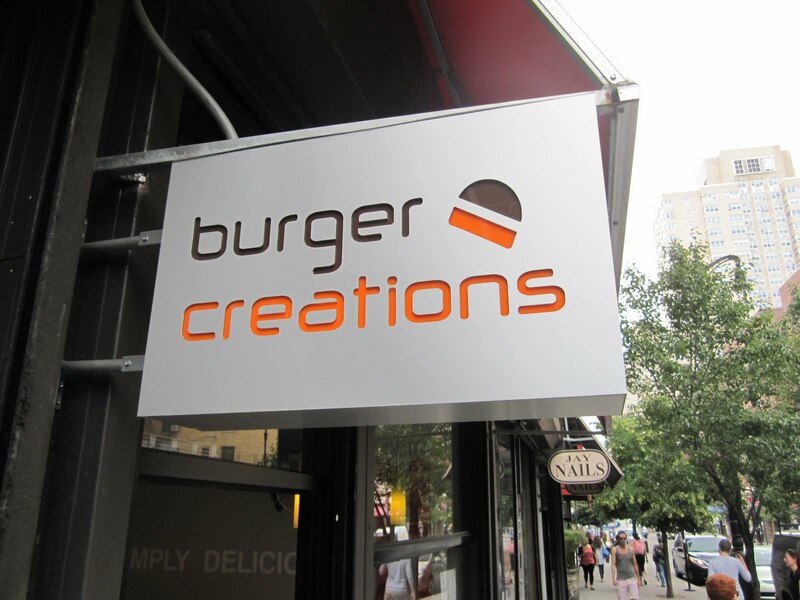 Located in New York City’s village, adjacent to the NYU campus, Burger Creations serve a gourmet style burger at a lower price and in a timely fashion. No table service, no bar, no servers. Place your order at the counter, take a seat and a few minutes later your receipt number is called and your off on a trip to the Burgerverse. Admittedly, I was hungry and this was the kind of jonesing that one burger was not going squelch. 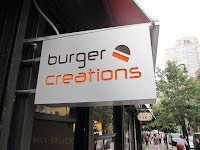 I placed an order for a regular cheese burger on wheat and a selection from their signature “Burger Creations” menu. 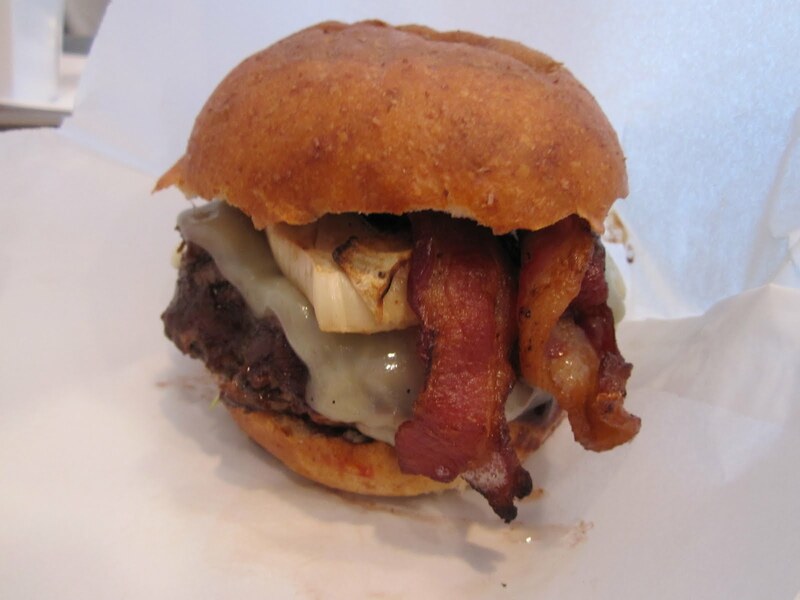 I got the “Southern Burger” with crispy Bacon, fire grilled onions, Monterrey jack, lettuce & bbq sauce. 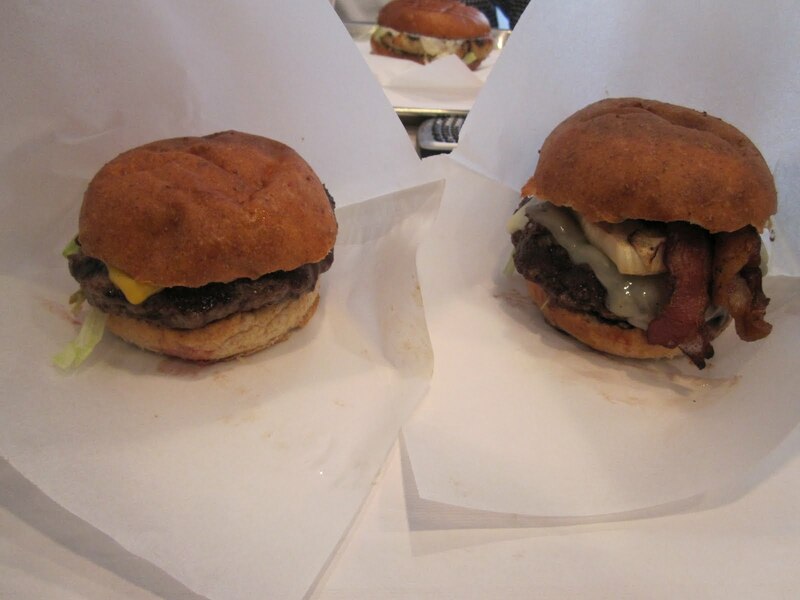 First up, the cheese burger. It was cooked to medium, although I did ask for medium rare but none the less, getting any other than well done in a fast food style burger joint is good. 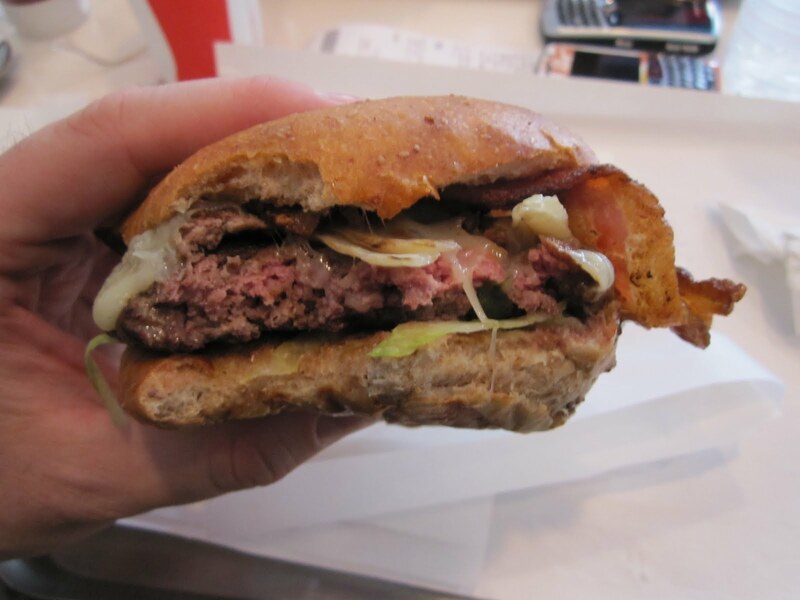 The patty was cooked “coal fired” and you could certainly taste it. No flat griddle or broiler makes a burger taste like charcoal and no trained chef makes a burger on coals that has a predominant taste of charcoal. The beef was good and had decent taste qualities but it was nothing special but the overwhelming taste of charcoal dominated the sandwich. No bueno. Hoping that I just had one prepared incorrectly, I sunk my jonesing into the Southern Burger. The onion, cut way too thick and not cooked enough had to be pulled off the burger. Whomever prepped the onions, left the center in them before serving. 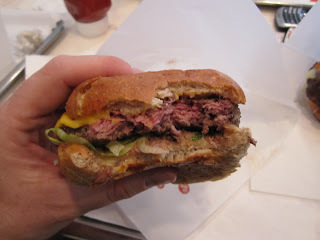 The patty, much like the other, tasted like charcoal. The smoky bbq sauce was sweet and peppery but no more special than a store bought major brand of bbq sauce and much like the burger, was not able to ward off the taste of charcoal. I will pay some kudos to the bacon, which earned the gold star of the sandwich. 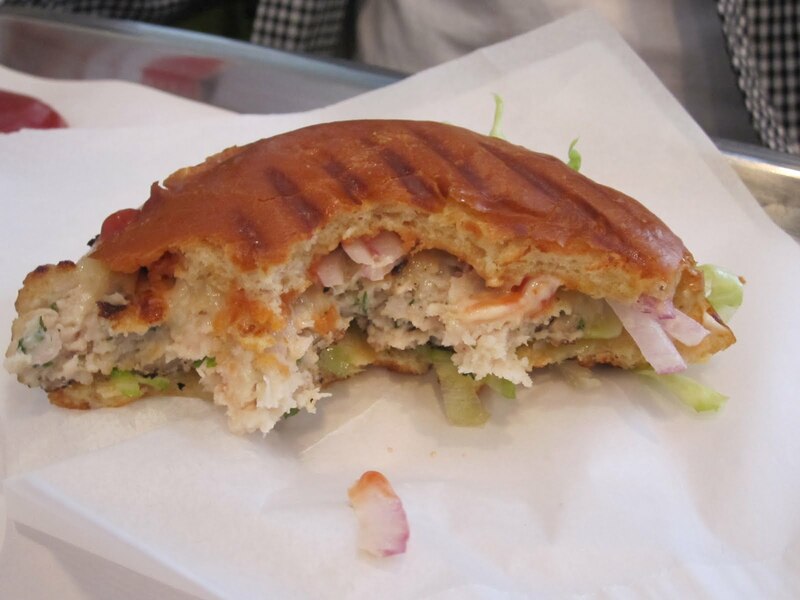 It was crispy, think, savory and still a little juicy. Kudos as well to the whole wheat bun, which is always a winner with me but it wasn’t enough to save the burger. My apologies to Simi, Dave and Adam, i’ll need a mulligan on this one. 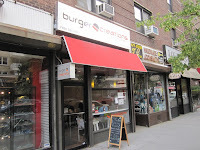 This entry was posted in Uncategorized and tagged the great burger conquest hamburger cheese french fries review new york ny nyc burger creations bacon village. Bookmark the permalink.